Chris Paisley may be playing a different course with a different caddie, but he sees no reason why he cannot successfully defend his title at this week’s South African Open. 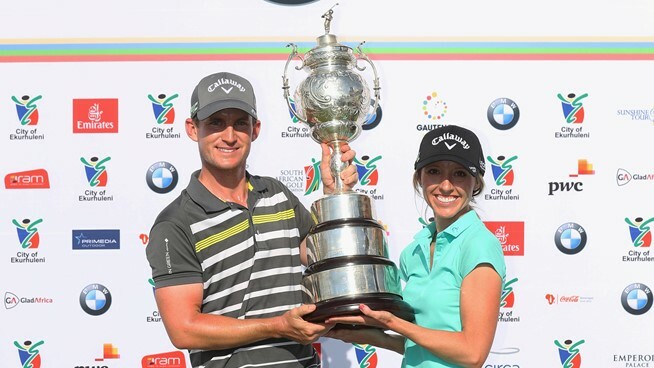 The Englishman claimed his maiden European Tour win in January at Glendower Golf Club, and this season the event makes the short move west ro Randpark Golf Club. The 32-year-old had wife Keri on the bag for last season’s triumph, but after giving birth to a daughter six weeks ago, Mrs Paisley is at home this week, with regular caddie Sean Russell back in the fray. With all those changes, you could forgive Paisley for lowering his expectations, but the man from the north east is fully focused on win number two. ‘It brings back a lot of memories,’ he said. ‘That win was the best I’ve ever played in my life and it was really special having Keri on the bag. Paisley may well feel under a bit of pressure. Anything less than a win is going to be a disappointment for him. Paisley tends to spend his winters in Florida, but is fully committed to the European Tour and is glad to be back on familiar layouts. ‘I love playing in Europe,’ he said. ‘I love the places we go and I’ve got a lot of really good friends out there now and I feel very much part of the Tour. The fact that I’m going to be playing in Europe for this year, I couldn’t be happier. ‘The golf course looks really nice, it’s in great condition. It’s a very typical Joburg kind of course, it has a similar feel to Glendower and to Royal Joburg. Hopefully I can do as well on it as I did at Glendower last year.